Where people come to gain and maintain optimal health! was awarded the 2015 Chiropractic Mamaroneck Patients' Choice Award. Welcome to our website and thank you for visiting! Located in the heart of Mamaroneck, conveniently serving Westchester County and specifically the surrounding towns of Harrison, Rye, Larchmont and New Rochelle, the leading health professionals at Sound Sports & Family Chiropractic are dedicated to helping you achieve your wellness objectives -- combining skill and expertise in a warm and caring environment that spans the entire chiropractic wellness and rehabilitative spectrum. 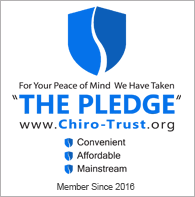 Dr. Glenn Krieger, a Mamaroneck chiropractor, is committed to relieving your pain as quickly as possible and bringing you better health and a better way of life by teaching and practicing the true principles of chiropractic wellness care. If you are looking for a Westchester chiropractor who gives you individualized attention, you have come to the right place. We look forward to working together to help you live a healthier and pain-free lifestyle. Patients seeking treatment at Sound Sports & Family Chiropractic in Mamaroneck with Dr. Krieger, your Mamaroneck chiropractor, are assured of receiving only the finest quality care through the use of modern state of the art chiropractic equipment and technology. We have a full rehabilitation center on site to help patients get and stay healthy through proper stretching and strengthening. 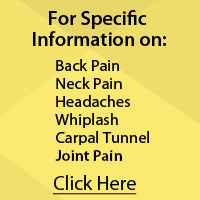 With many years of chiropractic training and education we have treated many patients with conditions ranging from herniated discs, neck and back pain, headaches and migraines, sports injuries, numbness and tingling, fibromyalgia, carpal tunnel, sciatica, poor posture, hip and knee problems and many other conditions. Patients seeking care at Sound Sports & Family Chiropractic are assured of receiving only the finest quality care in a warm and friendly office. Dr. Krieger, your Mamaroneck chiropractor and his staff have a genuine concern for your well-being! If you are new to our website, please feel free to discover and learn about chiropractic and wellness. If you are interested in starting your journey towards optimal health and wellness please subscribe to our award winning newsletter. If you are already a newsletter subscriber, please explore the member wellness section of our website for wellness articles, resources, and health facts---specifically targeted by Dr. Glenn Krieger to your wellness needs and interests.